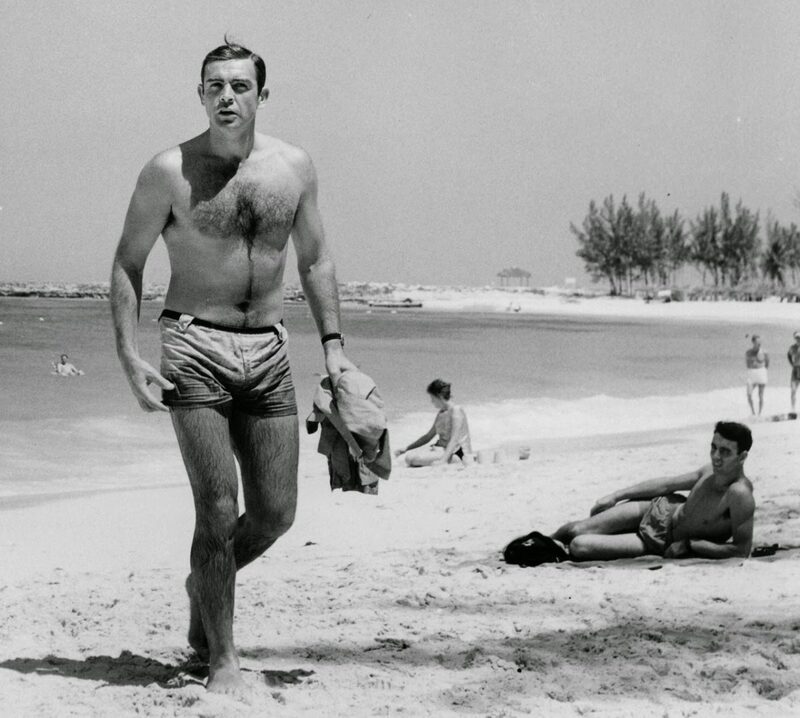 Celebrity beach scenes have taken many forms over the years, from the wickedly salacious to the silly to the tawdry to the tabloid. 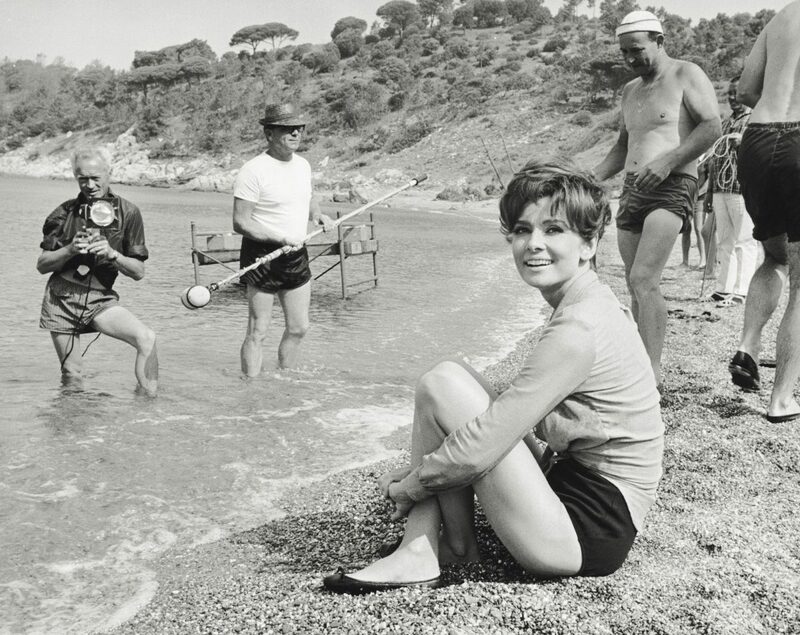 Celebrity beach scenes have taken many forms over the years, from the wickedly salacious to the silly to the tawdry to the tabloid. The stylized pin-ups of the 40s; the famously languid beach kiss in From Here to Eternity; Hitchcock’s technicolor Riviera in To Catch a Thief; 60’s teen beach party movies, from Gidget to Beach Blanket Bingo; Bo Derrick running down the beach in slow-mo; the ridiculous softcore universe of Baywatch…. 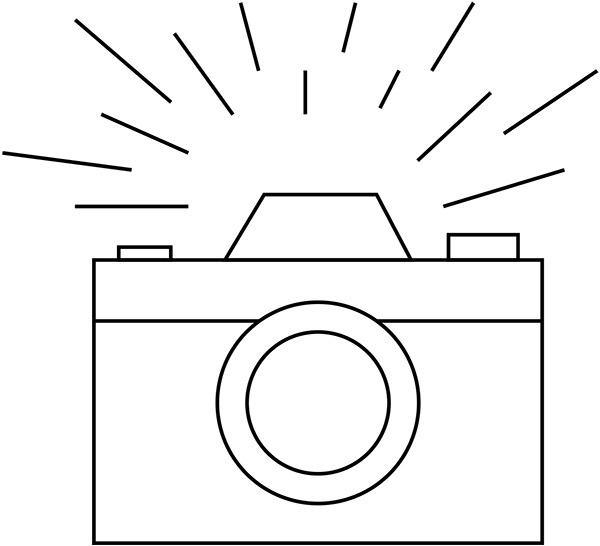 If beach movies specialize in glamorous, toned bodies, their dark side, the gotcha tabloid photo spread, seeks the opposite—to catch stars unawares and unprepared for glamor, looking as ordinary as the rest of us: too fat, too skinny, too old, too whatever. 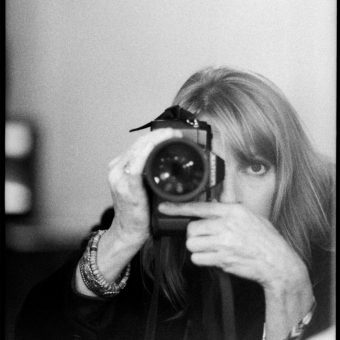 Grab as unflattering a shot as you can, print it on the cover of a magazine, print insinuations about hidden health issues, eating disorders, secret pregnancies…. an ugly practice but it seems to sell a lot of copy. 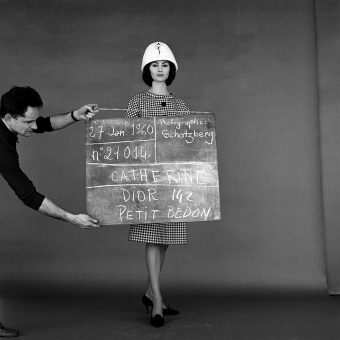 The celebrity beach photos here, candid and staged, from film sets, promo shoots, and private vacations, come from somewhere at the intersection of tasteful and humanizing—not in the “stars they’re just like us” way, but in the sense of, yes, there’s something special about these people, three-dimensional human beings we’d like to get to know as more than projections of our fantasies or targets of resentment. 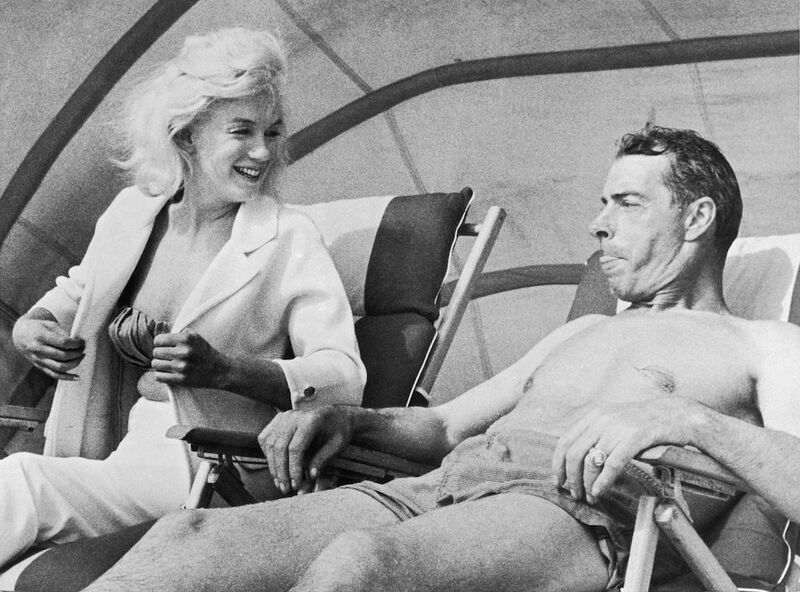 The candid shot of Marilyn Monroe and Joe DiMaggio (above) relaxing in 1961 at the top is a good example, showing both of them in unguarded moments, not posed, poised, or objectified but also not hunted and surveilled. They look relaxed and in their element. 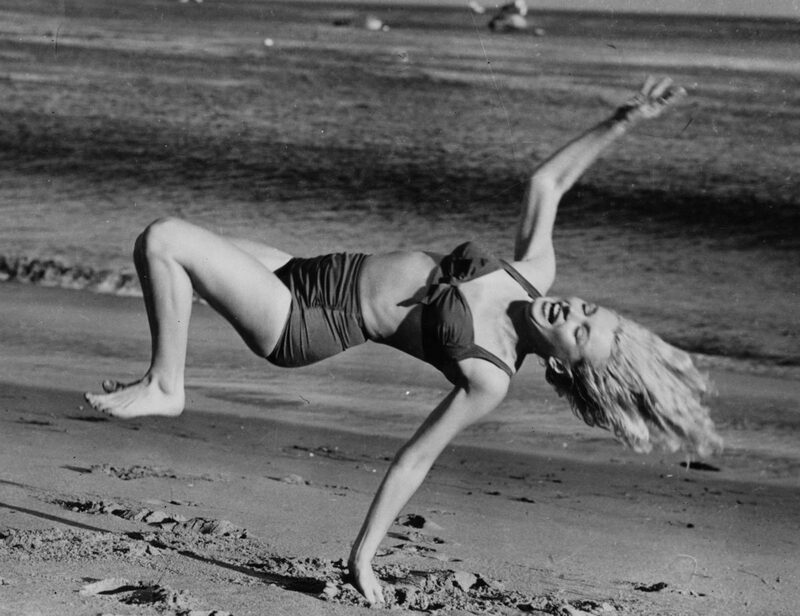 Further up, another photo of Marilyn, on a beach near her Hollywood home in 1950, perfectly captures her personality, as does the shot of Audrey Hepburn below, on the set of Two for the Road in 1966. 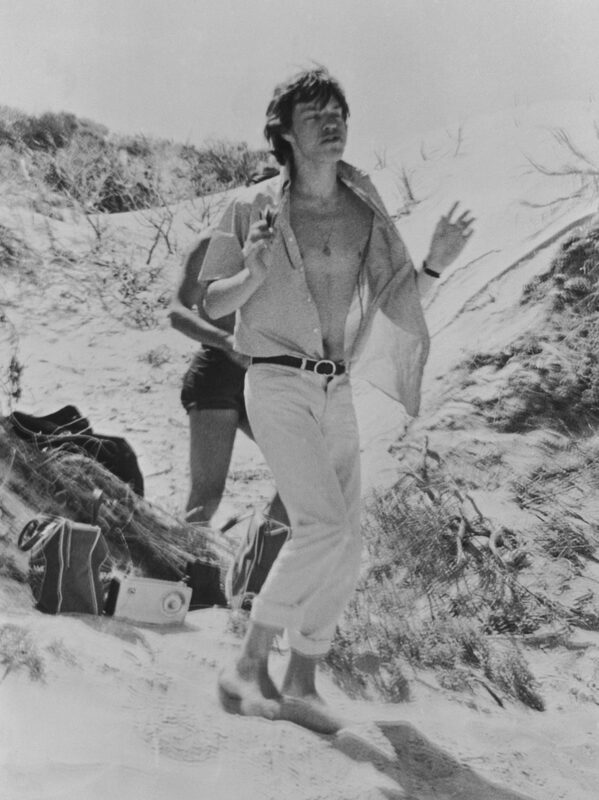 See more celebrity beach photos below: Brian Jones and Keith Richards, and below them, Mick Jagger, on a Sydney beach in 1965. 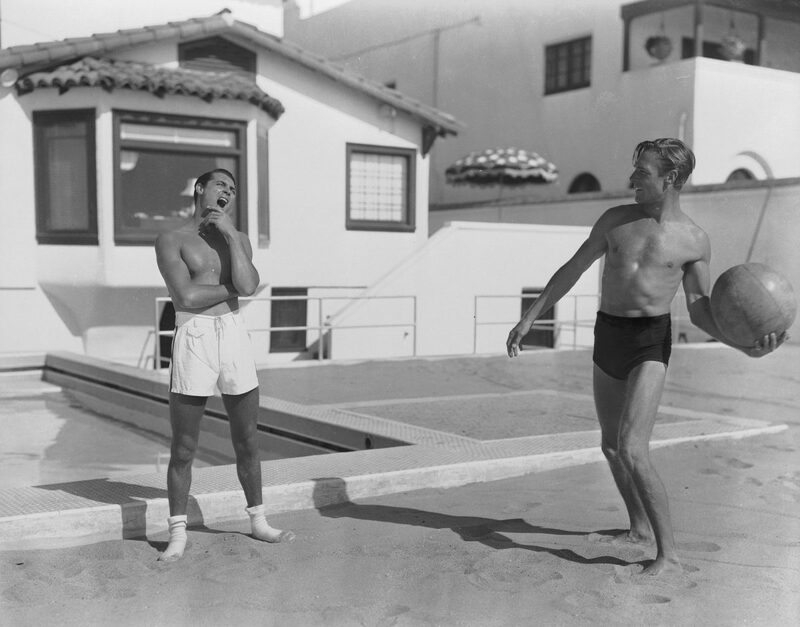 Randolph Scott and Cary Grant at their beach house in 1935. 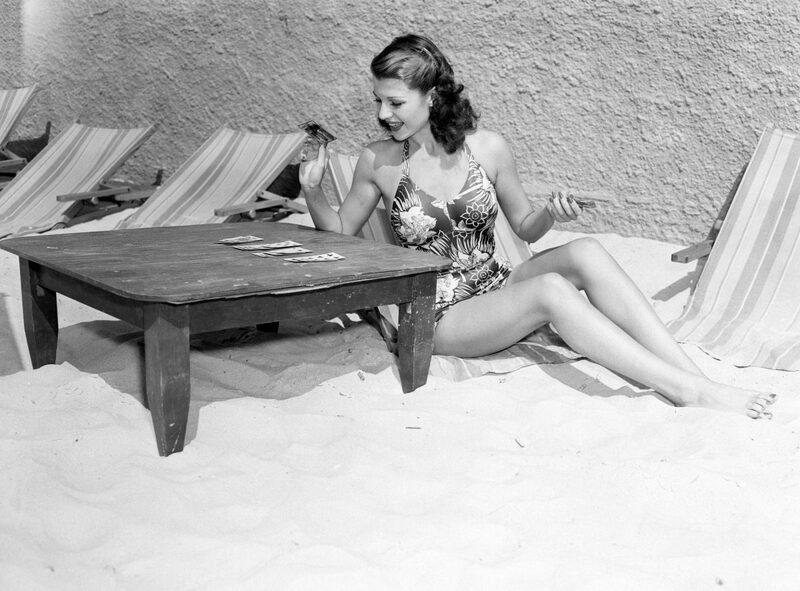 Rita Hayworth playing cards. Kirk Douglass braiding Brigitte Bardot’s hair at Cannes in 1953. 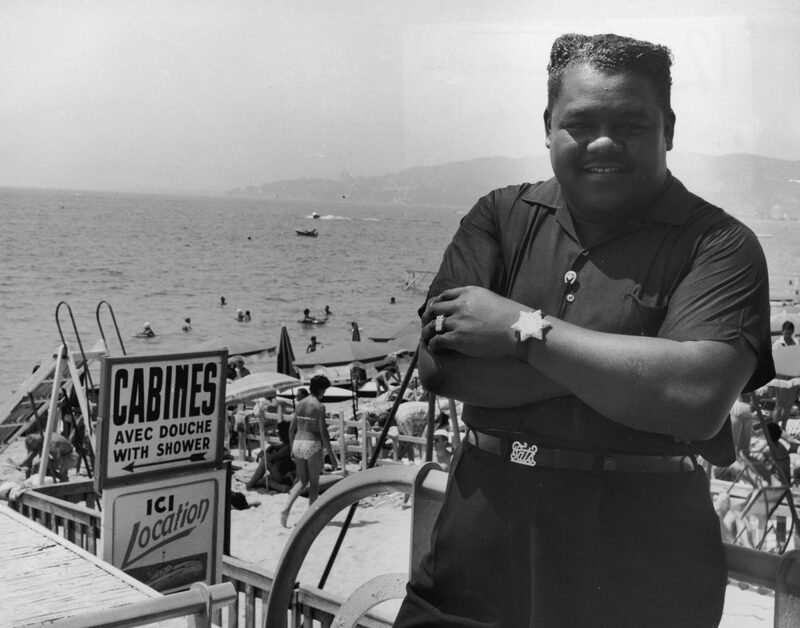 Fats Domino in France in 1955. Candice Bergen flexing (and standing on a dog) on the beach in 1968. 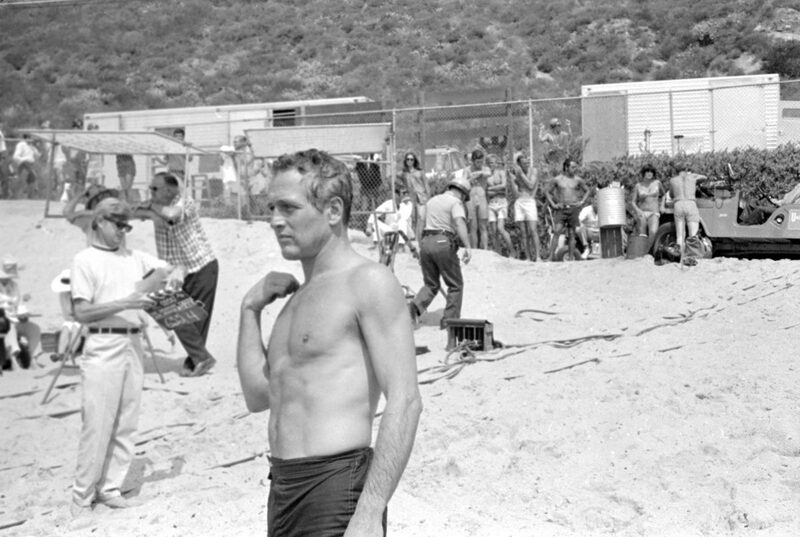 Paul Newman looking pensive during a beach shoot. 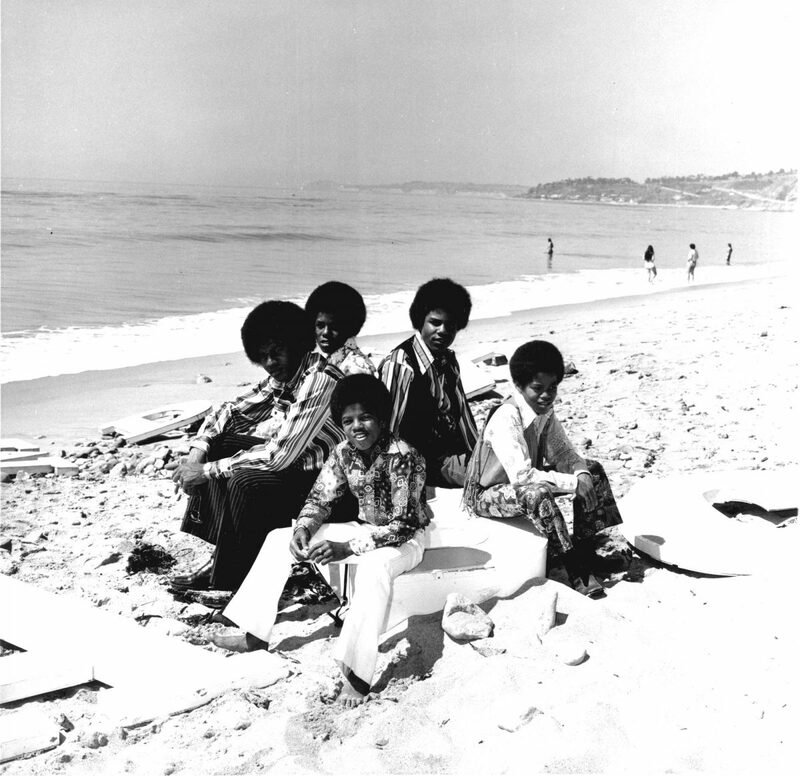 The youthful innocence of the Jackson 5 in 1970. 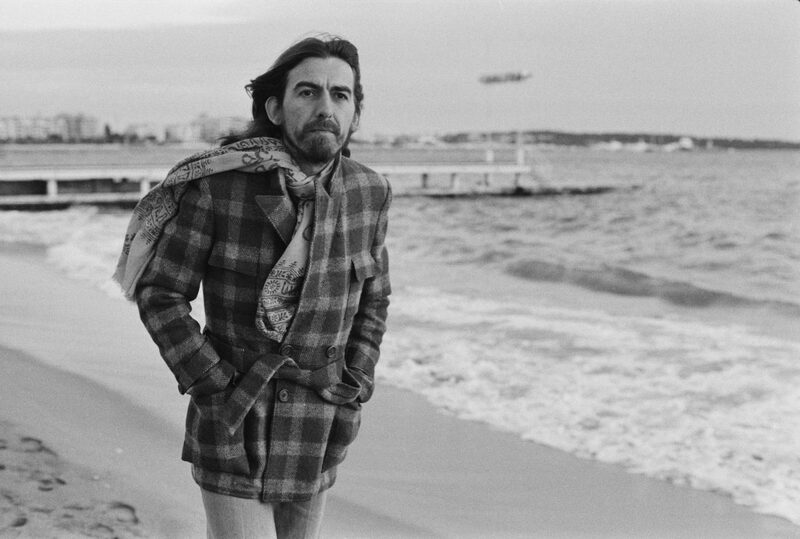 George Harrison bundled up at Cannes in 1976. 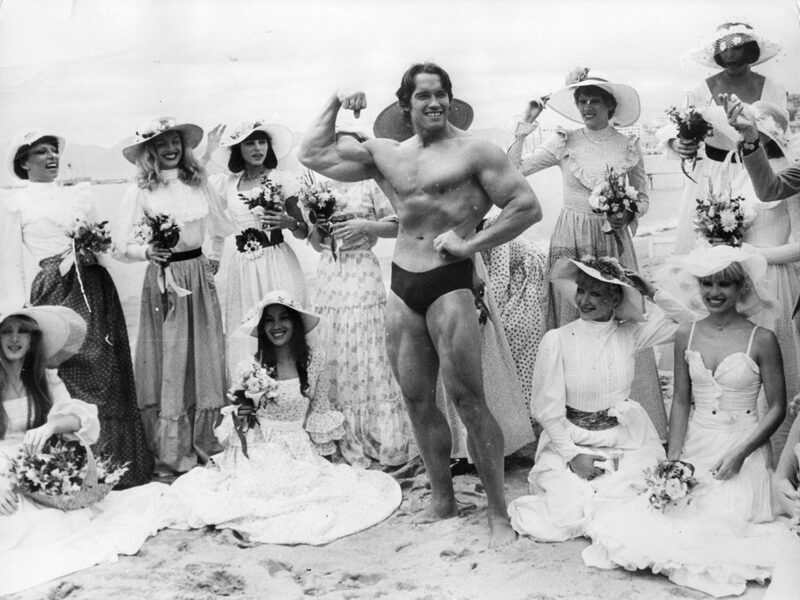 Arnold Schwarzenegger doing his thing with the women of the Folies Bergère at Cannes in 1977. 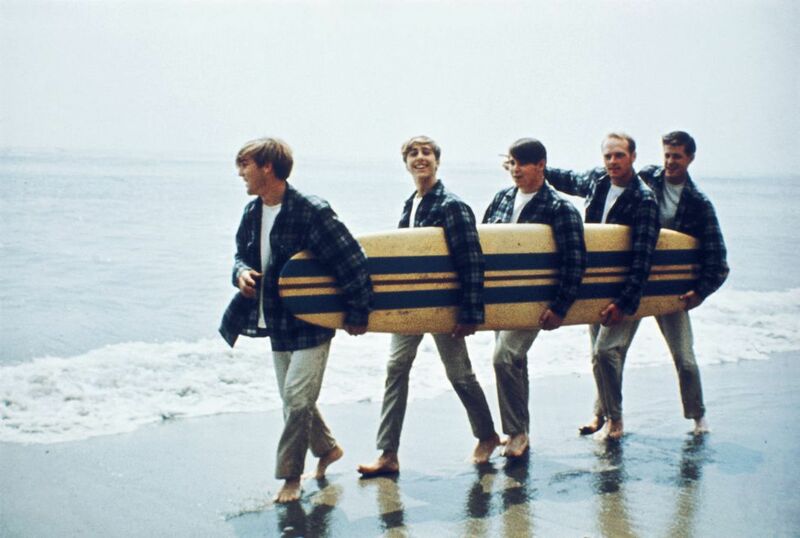 And finally, of course, the very young Beach Boys, in a classic scene in 1962.